A number of people are being made to look pretty stupid by Mo Salah. Liverpool’s flying forward is on 14 goals in 18 appearances in all competitions, an astonishing record for a new signing, especially considering he starts from a wider position. But upon his arrival, there were suggestions that he was a Chelsea flop and wouldn’t cut the Premier League mustard. Pundits were confused by his potential position, considering Sadio Mane had played on the right and Coutinho on the left in 2016/17. One of these was Jermaine Jenas, who claimed that Salah would lose his spot in the side with everyone fit. “He has been brilliant so far but, does Mo Salah even start for Liverpool if Coutinho is back in the team?” Jenas said on BBC Radio 5 Live, cited by the Echo. “You’ve got Adam Lallana to come in as well. “Liverpool have been very good against the other sides in the top six for the past few years. This would be more forgivable if Jenas was making the prediction during the summer, before he’d seen Salah play – but the Egyptian had actually already hit the ground running! 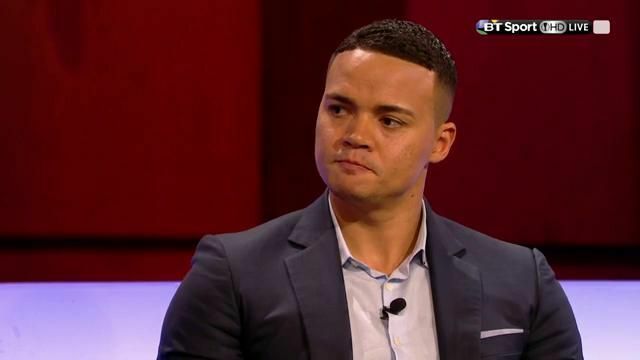 When Jenas predicted his failure, Salah had scored three goals and registered two assists in six appearances – hardly the kind of form which warrants criticism. At the moment, he’s a candidate for the Premier League Player of the Year alongside Manchester City’s Kevin de Bruyne.